In first of its kind, a Gurugram based Experion Developers Private Limited. has filed a petition in the Hon’ble High Court of Punjab and Haryana as to the there being discrepancy in time period for completion of project under the provisions of the Real Estate Regulation and Development Act,2016 hereinafter referred as “RERA”. 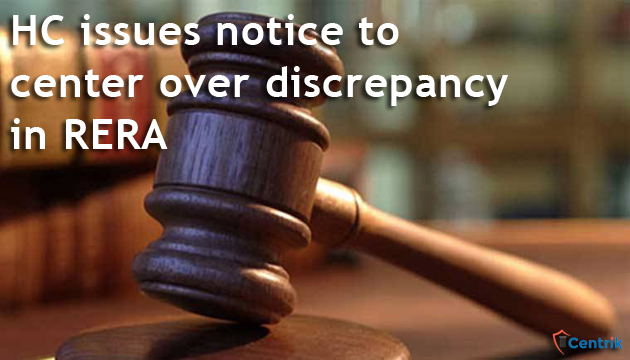 Section-4 of RERA which deals with registration of ongoing projects with the RERA Authorities seeks that the promoter or someone authorized on their behalf should give an undertaking as to in what time period the project shall be completed. Now, further looking at Section-18 and 19 the Act states that in case the builder fails to give possession of the completed unit as per the terms of the agreement he shall be liable for refund or penalty interest as the case may be. The senior advocate on behalf of the petitioner Mr. Puneet Bali argued that such two different timelines under three different sections of the RERA are a pint of confusion for the developers. The developers are not sure as to what time period applies. They further contented the discrepancy lies in the fact that the developer is liable under which timeline 1. One given under Section-4 which the builder undertakes himself or 2. One which is there in the agreement. The Hon’ble bench Division Bench of Justice Mahesh Grover and Justice Lalit Batra after hearing the arguments on behalf of the petitioners have issued notice to Union of India for the first week of July. The petitioners seems to have a raised a valid point before the Hon’ble HC from the viewpoint of both builder and buyer. The liability and obligation both have to be calculated from the date of completion which clearly can be two and under which the builder is liable will be a concern in the long run.